We purchased a Datron M10-PRO processing centre in 2014 that is able to mill with a speed of 40.000. This allows us to work with very small tools. The M10-PRO is equipped with a vacuum table of 1000 x 700 mm, which makes it possible for us to mill thinner sheet metal materials into special shapes. 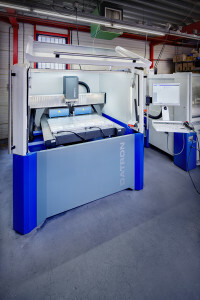 Datron M10 Pro with precision linear glass scales can perform high-speed milling (40.000 rpms) with an accuracy of 5 microns. The Datron M10-PRO allows us to mill internal corners, for instance, with a very small radius in the corners: it is even possible to have R=0.25 in 5 mm of aluminium. In addition to that, we are also able to drill very small holes. We drilled holes of 0.1 mm in 1.0 mm of stainless steel for a Shell project. The M10-PRO is equipped with precision linear glass scales that make an accuracy of 5 microns possible. In practice, this accuracy can only be obtained under circumstances in which corrections can be made with regard to temperatures, but a range of +/- 0.02 mm can definitely be achieved. Aluminium is cooled with alcohol, which cleans the products and prevents them from becoming greasy. Stainless steel, however, is milled with a (slightly) greasy emulsion. 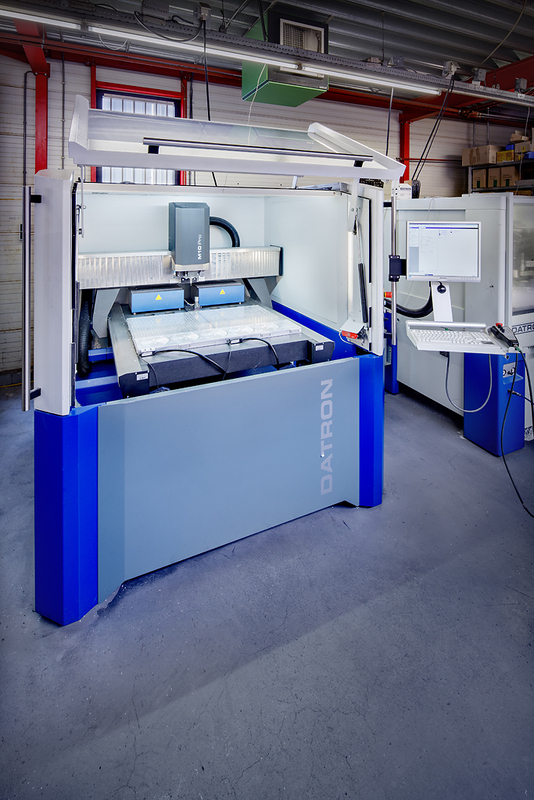 In addition to aluminium and stainless steel we use the Datron to mill all kinds of synthetic materials and sometimes even glass fibre reinforced materials, for instance printed circuit boards (FR4 and EPGC materials). More about the Datron M10-PRO.